-Discovery and development of drug candidates through total syntheses and synthetic modifications of bioactive natural products focused on antitumor and anti-HIV agents. Laboratory cours for Master students in Pharmaceutical Sciences (assistants) Diploma work Graduate Lectures and Practical Courses at the University of Geneva Lectures for the doctoral students in Pharmaceutical Sciences totally or partially given by members of our laboratory. ‘Pharmacognosy’—has been coined by the merger of two Greek words Pharmakon (drug) and Gnosis (knowledge) i.e., the knowledge of drugs. The nomenclature—‘Pharmacognosy’ was used first and foremost by C.A. Seydler, a medical student in Halle/Saale, Germany, who emphatically employed Analetica Pharmacognostica as the main title of his thesis in the year 1815. Besides, further investigations have revealed that. Schmidt has made use of the terminology ‘Pharmacognosis’ in the monograph entitled Lehrbuch der Materia Medica (i.e., Lecture Notes on Medical Matter) which dates back to 1811, in Vienna. 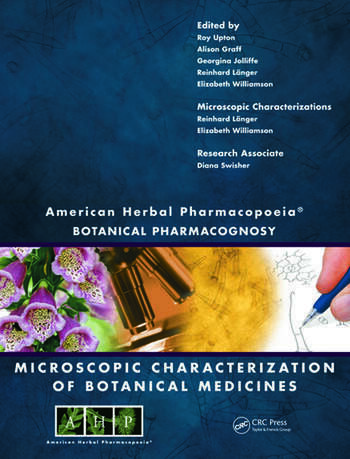 This compilation exclusively deals with the medicinal plants and their corresponding characteristics.